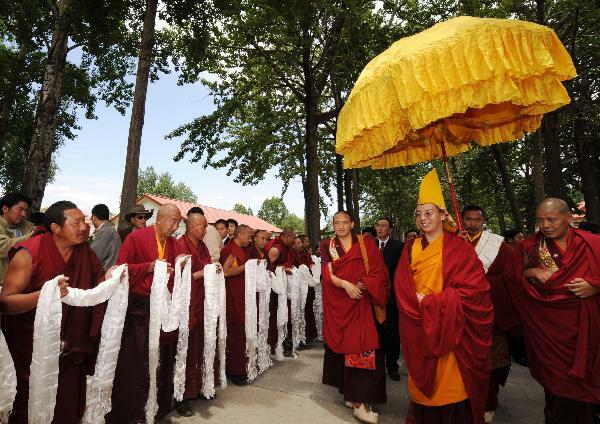 The 11th Panchen Lama arrived at Lhasa Thursday, June 4 for Buddhist activities as an annual routine in recent years. The 11th Panchen Lama was warmly welcomed by monks and members of the common people in this capital city of Tibet Autonomous Region, southwest China. The 11th Panchen Lama, Bainqen Erdini Qoigyijabu, spends most of the time studying Buddhism in Beijing and also visits areas inhabited by Tibetans for religious services.